Mass of Christian Burial for Duane Phillips, 80, of Ft. Yates, N.D., was held on Tuesday, April 9, 2019, at St. Peter’s Catholic Church in Ft. Yates. Burial was at the Kenel Catholic Church Cemetery under the direction of Kesling Funeral Home of Mobridge. 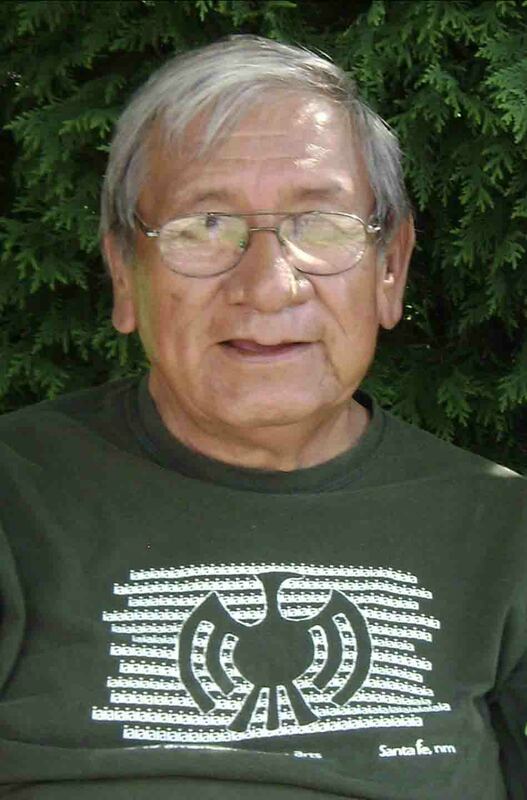 Duane passed away on Tuesday, April 2, 2019, at Sanford Medical Center in Bismarck, N.D.
Duane Ervin Phillips was born to John (Lends His Horse) and Emma (Brush Horn) Phillips on July 30, 1938, in Mobridge. He was raised in Wakpala where he attended grade school and high school. He graduated from Wakpala High School in 1957. After graduation he enlisted in the U.S. Navy. He served from 1957 through 1961, touring the Mediterranean Sea on a U.S. Naval Destroyer. Duane was joined in marriage to Maxine R. Claymore for 62 years. Together they raised six daughters and one son. He loved to visit and would strike up a conversation with anyone. One time the family was in the Black Hills and Dad was sitting on a bench at the Mount Rushmore monument. He overheard a young boy with a New England accent ask his father, “Is that a real live Indian?” He looked around and realized they were talking about him. So that became a family joke that Dad was a real live Indian. Grandpa was very involved in his grandchildren’s and great-grandchildren’s lives. He attended all their sports, music, band, and any other activity they were part of. He fully supported them all in everything positive they wanted to do. He was an avid Standing Rock Warrior supported and fan. Dad learned to box while in the Navy. He continued his love for the sport and was a boxing coach for many years. He coached many champion boxers. Dad supported the Lakota spirituality way of life and attended ceremonies when he was able to. Grandpa would decorate the house for Halloween and Christmas and put the lights up exactly the way Grandma wanted them (even if it was the night before). If something needed to be fixed, Grandpa had his duct tape ready. All of Papa’s babies knew about his famous Oreo blizzard and root beer floats. Dad was always a hard worker and provided a great life for his family. We were so fortunate and blessed. He gave everything he had to his family. He taught his children to be strong, independent and to take care of their families. His wisdom and guidance will truly be missed. He is survived by his wife, Maxine; six daughters, Duanna (Buck), Kelly (Burl), Dawn (Bruz), Patty, Tomi (John), and Annie (Dave); one son, Justin (Kirsten); special nephew, Terry Phillips; grandchildren, Sheena, Bucky, Brittn, Robbyn, John, Sondi, Trevor, Jaime, Trent and Anthony; and great-grandchildren, Colt, Nissa, Ellyce, Lance, George, Sara, Jesse, Rio, Evie, Piper, Keeley, Jalia, Jax, Jasmine, John Jr., and Baby Shane. He was preceded in death by his parents, John and Emma Phillips; brothers, Sherman Phillips, Larry Sharp Fish and John Yellow Elk; and infant sister and brother.